Lately i’m FAR more interested in modern cars than classics, and my appreciation of living in the now has created this buzz within me. I’ve never owned a VW Golf, however i’ve come very close to by owning a MK1 Audi TT and an Audi A3—both of which share chassis with their respective Golf counterparts. 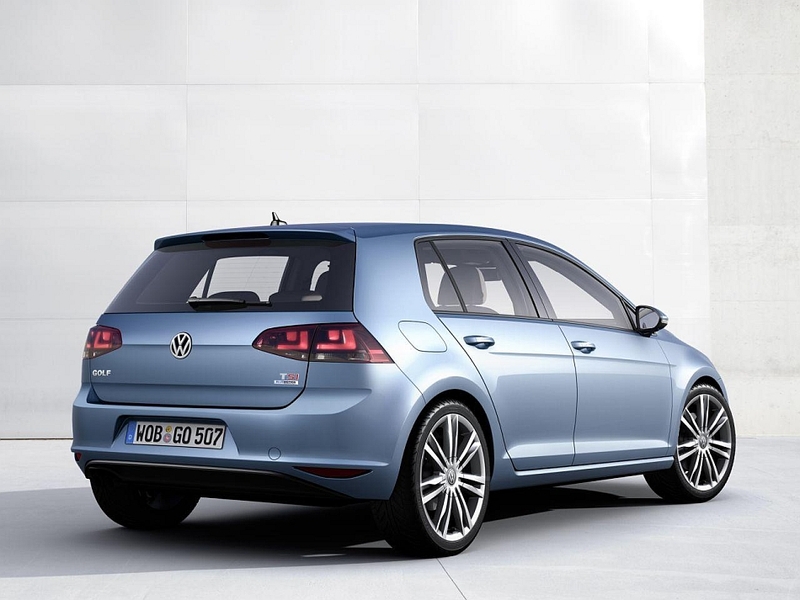 This new MK7 Golf looks SUPERB and has an exciting, crisp, and modern design without all the Korean/Japanese ‘overdesign’ elements flooding the automotive world. What surprises me most, though, is how this MK7 takes cues from older Golfs more than the MK5 or MK6 did. In fact, i see a lot of MK4 in the rear end. Very interesting! There’s nothing better than a nice, balanced hot hatch in my books. Affordable, fun, and without care of status or pomp. 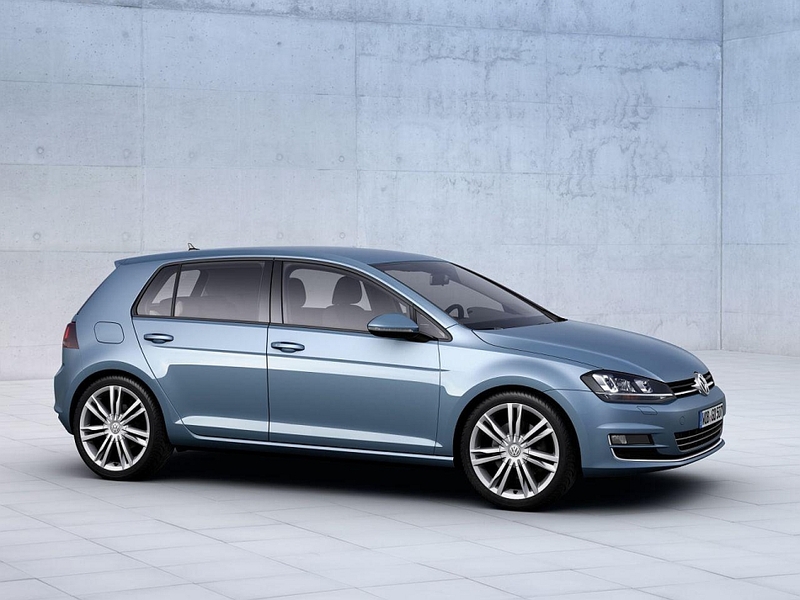 I am really excited about the new A3 and i’m also excited about this new Golf. Here’s waiting for the S/RS and GTI/R versions of these cars! Globally….it’s probably one of the most important car launches this year. The Golf is truly an international car, and what a great overall car it is. oh…and it’s 220 pounds lighter than the last generation (!!!). Here’s to hoping they bring the diesel version of this to the states… it gets something like 88mpg on the euro cycle, which I think is still around 70mpg the way the US measures it? Fantastic. Would love one of these as a commuter. I just drove a TDI A3 as a loaner car earlier this week….it was great—-aside from the wheel hop and torque steer from FWD issues. if they put a quattro in there it’d be mint. got 45mpg in NYC traffic too! Yawn!!! Maybe its about time (or at least 10 years overdue) that VW started with a blank sheet like Ford did with the Mk1 Focus and create something new and not an old idea rehashed again and again and again. uhh….if anything the Focus is a wannabe Golf….attempting to create a new legacy for itself….the latest Focus, while not an ugly car, is also not an inspiring design in any way….the Golf, on the other hand, has it’s own style and it’s own history. It sells incredibly well in many markets….and I’m sure this latest one will as well. Why change a brilliant formula?